As a WordPress user, you have a lot of work to do for your website, including content creation, security scanning, backups, maintenance, comments moderation, malware checkup and more. However, a positive aspect of WordPress is that you don’t have to do everything manually. There are a lot of plugins and even inbuilt WordPress features that allow you to automate the tasks and site management. The #WordPress #automation not only saves your time but also lessen the workload. In the era of digital transformation, the WordPress automation is especially useful for you if you are carrying out digital business processes. You need to focus your time on expanding and growing business, instead of working on repetitive tasks. So, let’s have a look at how you can automate your WordPress site and workflow. Publishing posts on a WordPress site are your primary target as a blogger. Have you found out that you can publish a post without logging into your WordPress account? There are inbuilt features that enable you to schedule the time of publishing the post. For example, if you regularly publish on your blog and have the content already written, then you can use the schedule option. You can specify the time and date for each post which will get automatically published according to a specified time. 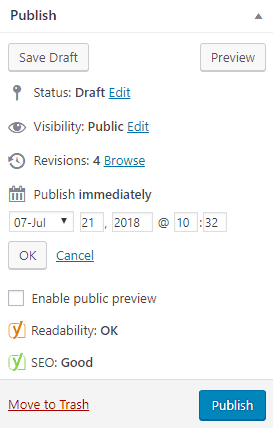 All you need to do is save the drafts in the WordPress editor and then click Edit link. There, select the exact time and date when you want the post to be published. Scheduling the posts can significantly save you time. If the schedule option doesn’t come with your WordPress plan, there are many plugins available for that, which can be easily downloaded. Updating the WordPress site is a key to ensure the security and performance of the website. The regular updates are released for WordPress to fix bugs, add new features, tighten security, etc. Moreover, the updates for plugins and themes you use for your site are also released. Although keeping your site updated and performing WordPress maintenance is important, it can consume your valuable time if you manually do it. This can especially be a daunting task when you have a lot of plugins and themes as well. The solution is to automate the updates so that everything is taken care of in the background and saves your time for content creation and other productive work. When you consolidate your website, you can sleep peacefully at night without worrying. A full-site backup ensures that you will always be able to restore the site easily in case you come upon an accidental deletion or site hack. You can automate the backup of your site on a time-frequency depending on how often you are publishing content. Scheduling the backups is a good security habit. Further, you should keep multiple copies of the backups at different secure off-site locations, and keep testing them occasionally. If your WordPress plan doesn’t come up with a backup scheduling option, you can install a plugin. 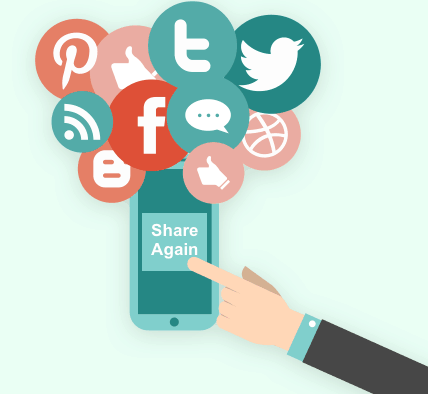 A strong presence on social media has become key to share the content with your friends, followers, and other users. You put all your efforts into writing those posts, and then you manually share them on all social media platforms like Facebook, Twitter, LinkedIn, etc. Isn’t it time-consuming? However, WordPress allows you to share posts on social media automatically. All you need to do is add the details of your social media on WordPress only once, and then much of your work will be done automatically. If you are a blogger, you upload a lot of images and media files along with the content. Optimizing the images is a smart thing to do because it will increase the loading time of web pages, and provide a better experience to visitors. However, if you manually optimize the images/media files before uploading, it can be a very time-consuming task. There are WordPress plugins that you can install on your site to automate image optimization. Such plugins compress the images and other media files at the time of uploading to the media library, so your website doesn’t slow down. Comments are something you want on every post. You like to know what your readers and visitors think of your content and website. The comments section is also a place where your visitors discuss or write any query. You’ll like to make it a user-friendly place, with no spam comments. However, checking all the comments every now and then, and finding spam to delete is a daunting task. To help you through this, WordPress has some features that allow you to blacklist certain words and block spammy comments. The aim of your posts is to rank higher in search engines and reach many users as possible. 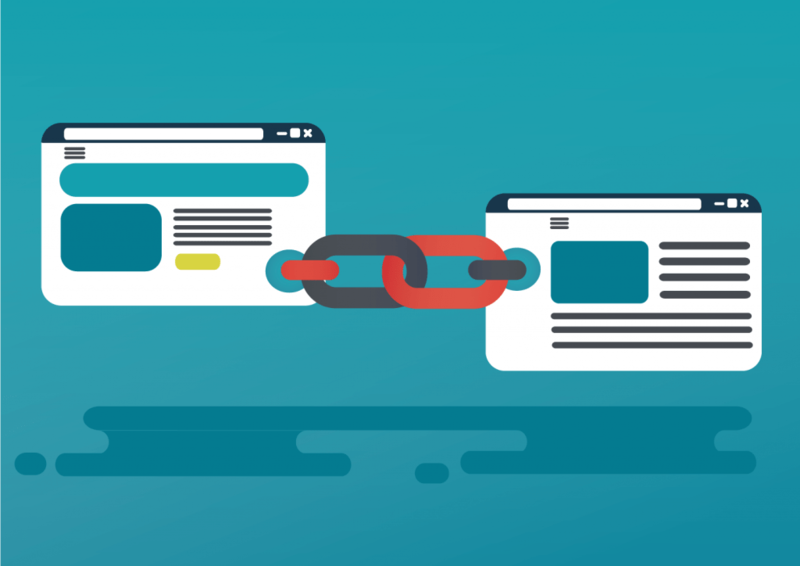 You put all your efforts into writing high-quality content with proper SEO, but if the links used in the post are broken, it will affect your ranking. Same goes for missing images, Google and other search engines also check for internal links and images before ranking posts. Hence, you have to ensure that none of the links used in posts are broken. For this, install good plugins that can scan your website, check broken links and missing images, and automatically patch them. With the addition of regular content on the site, your database gets bloated. This results in slowing down your site. You can’t delete the content from the database, but you can optimize it once in a while. For database optimization in WordPress, there are plugins available using which you can customize the content to be optimized. This will automatically optimize the database on a specified time frequency. We are sure these methods will help you automate your WordPress tasks and save time, so that you can focus on the big picture— creating content, communicating with visitors, and ranking high in search engines. If you have something more to add, let us know in the comments section below. Published on July 22, 2018 by Catherrine Garcia. Filed under: wordpress automation.